The PC Windows market has rapidly caught up with its arch rival ; the Apple Mac – in the last 2-3 months. With the Ivybridge based HP Z1 Graphics Worstation (see blog 16/04/2012) set to out do the Apple iMac and the Ultrabook set to rival the Apple MacBook Air now is the time to consider options. 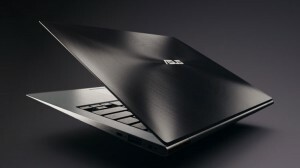 As I blogged about the HP Z1 recently ; this blog is going to focus on the revolutionary product that is the ULTRABOOK. An Ultrabook is different from your standard laptop and has to have a certain specification to fall into the Ultrabook category. For example, it has to be less than 20mm in thickness, less than 1.4KG, long battery life (5-8hrs) and a Solid State Drive. An SSD is highly robust and far faster than traditional hard drives. So, the Ultrabook is perfect for people of the business world that travel a lot and like portable machine, but don’t want to lose much in specification. AND how they have gone DOWN in price! HardSoft Computers can offer all of these lightweight laptops on their Flexible Finance Lease.Very much the ‘entry level’ Ultrabook is the Asus Zenbook. I say entry level, however, it is still packed with a Core i5-2467M Processor, 4GB RAM, a 128GB Solid State Drive and Windows 7 Professional. Available on a Flexible Finance Lease from HardSoft Computers (as are all of the Ultrabooks) the Asus Zenbook is now £7.45 + VAT per week over 3 years. The ‘Gadget Show’ voted this as their favourite PC Ultrabook based on looks. If you want a ‘high-specced’ Ultrabook, the Lenovo IdeaPad U300S is definitely the Ultrabook of choice! With an extremely fast Core i7-2677M Processor, 4GB RAM and a 256GB Solid State Drive, this is the ‘cream of the crop’ of the Ultrabook wrld. AND it is just £10.90 + VAT per week on lease. This is currently the only i7 based Ultrabook available. Our computer leasing packages include three years warranty and support with ownership at the end of the lease for just £1. Your Ultrabook or MacBook Air is highly desirable and we also offer computer insurance against theft or accidental damage. For more information on Ultrabooks and if you wish to request a quotation, please call any of our sales team on 01279 718693 or email sales@hardsoft.co.uk.